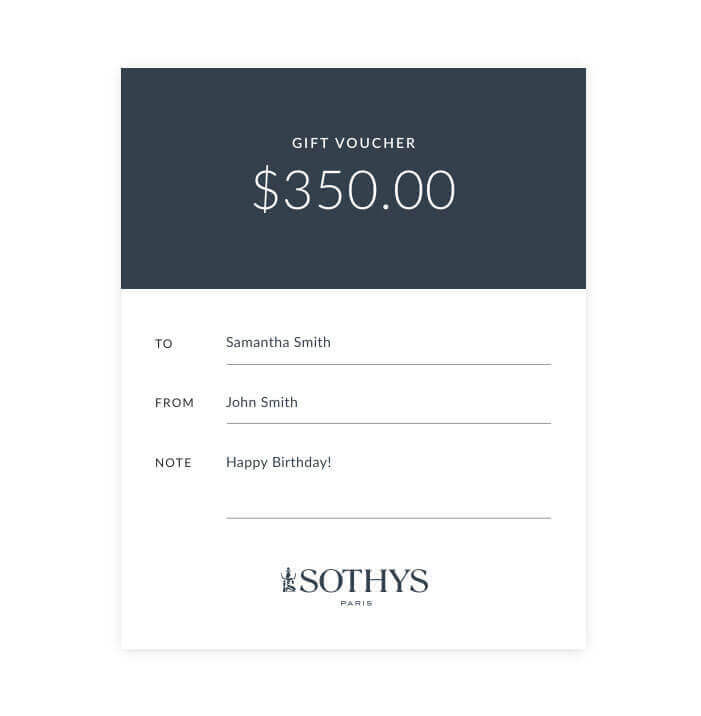 Gift luxury with a voucher from Sothys. Can be redeemed at any of our New Zealand stockists for treatments or products, or in our online shop. 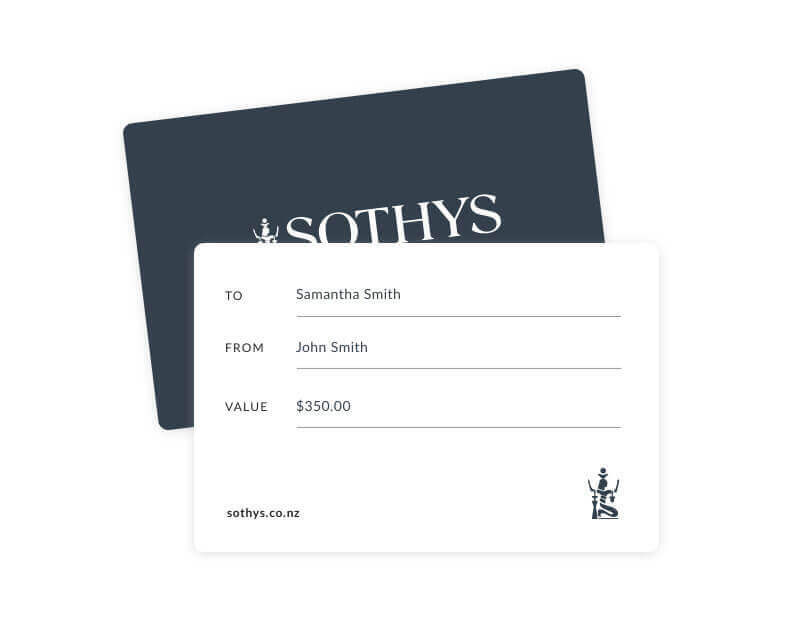 Gift luxury with an online voucher from Sothys. 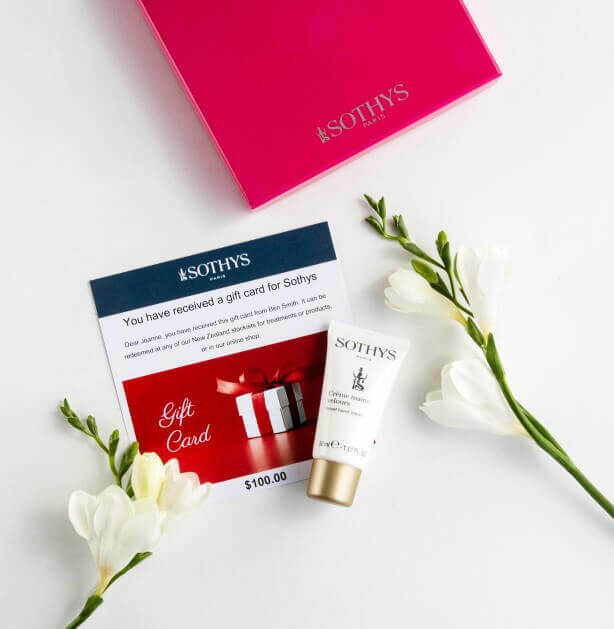 Gift luxury for Mother’s Day with a voucher from Sothys. Comes presented in pink box as shown with a free 30ml Velvet Hand Cream.